The lists below of Morgans who have competed at Third Level and above in Open Dressage competitions are updated frequently throughout the year. If you have a Morgan who has competed at Third or above and has not been included in these databases, please email us at morgandressage@yahoo.com and give us the details. 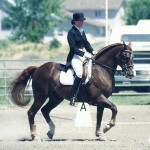 Database of Morgans that have competed in Dressage at Third Level or Above . High Pastures Samson (Ethan Eldon x Lippitt Ramona), a 5-year-old gelding owned by Harriet Hilts places third in ASHA Dressage B2 at USET headquarters in Gladstone, NJ. He is trained and ridden by former Dutch Olympic rider H.L.M. Van Schaik of Cavendish, Vermont. 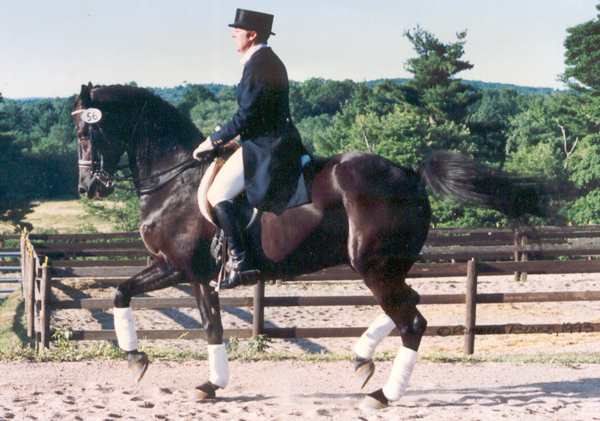 Samson becomes one of the first Morgans to be trained in classical dressage. Van Schaik and High Pastures Samson give a dressage exhibition at Morgan National Show. 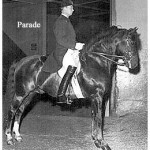 Two Morgan stallions, Parade (Cornwallis x Mansphyllis) and his son Broadwall Drum Major (x Debutansque) owned by J. Cecil Ferguson are invited by Colonel Alois Podhajsky to tour the United States and Canada with the Royal Lipizzan Stallions. 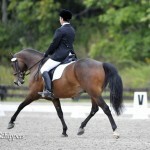 Van Schaik and Samson win Open Dressage at Woodstock, VT. 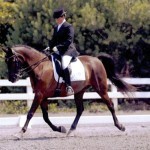 The first dressage competition is held at Eastern National Morgan Show. 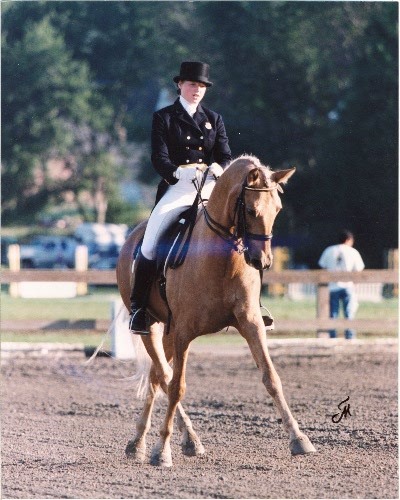 Prince of Pride (Dickies Pride x Utah Queen), a palomino WWF stallion owned, ridden and trained by Mary Woolverton, wins the dressage class at Western National Morgan Show. Margaret Gardiner’s stallion Kennebec Ashbrook, trained and ridden by Dr Van Schaik, win the Second Level dressage class at York, Pennsylvania. He is the first Morgan to win at that level. 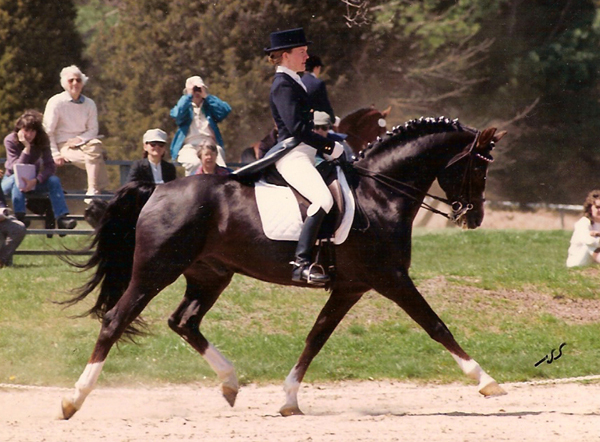 Broadwall Felicity (Triumph x Arribonita), a 15-year-old mare ridden by her owner Lee Ferguson wins her class at the Readington, NJ Dressage & Combined Training Show. They also win Second Level Dressage at the Eastern National Morgan Show. Lee and Felicity are Second Level New England Regional Champions. Lee and Felicity are Third Level New England Regional Champions. There are nine Morgans among the nineteen participants in a Thomas Poulin dressage clinic held in Jamesville, NY. Poulin uses the Morgan stallion Meadowbrook Dancer as his demonstration horse. 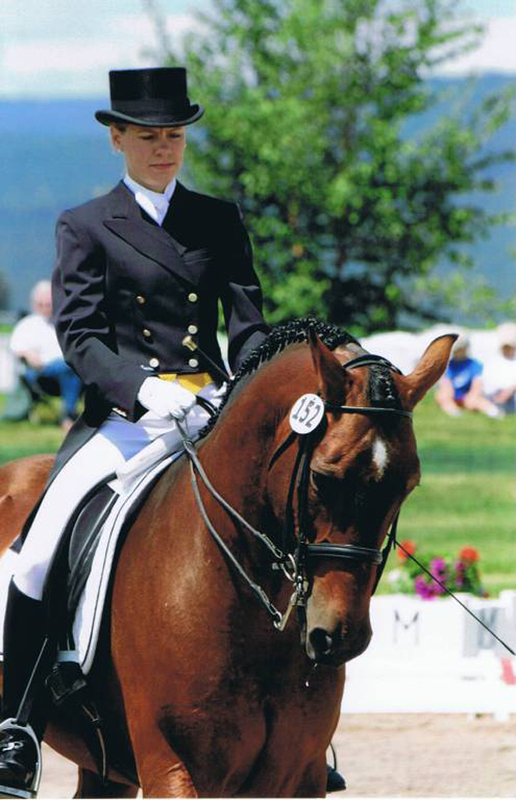 Gwen Stockebrand and her half Morgan/half Tennessee Walker, BAO are named to the USET Dressage Team. Stockebrand and BAO place sixteenth in the World Championships and third in the Musical Kur. They win a Silver Medal at the Pan American Games. At the Alternative Olympics at Goodwood, England BAO and Stockebrand are second in the Kur, and the highest placed Americans at both Goodwood and Rotterdam. The same year they win the U.S. Grand Prix Championship. Lee Ferguson is awarded a USDF Bronze Medal. There are almost twenty Morgans at the Stoneleigh Burnham Dressage Show. First and second places at Fourth Level are Madeline Swircek and her 14.2h black stallion, Bald Mt Con Man (Bar-T Vigilman x Bald Mt Connielect) and Lee Ferguson on her gelding Broadwall Jazz Time (Broadwall Tempo x Especially). Both place above Lendon Gray on Mariupol. The Pas de Deux is won by Mona Sansoucy on Big Bend Doc Davis and Lee Ferguson on Broadwall Jazz Time. Big Bend Doc Davis, a 15.2 h stallion, and owner/rider Mona Sansoucy are Northeast Regional Sweepstakes Reserve Champion at Third Level. Mrs. Bruce (Lee) Ferguson is named AMHA Woman of the Year for her work in promoting Morgans in Dressage. 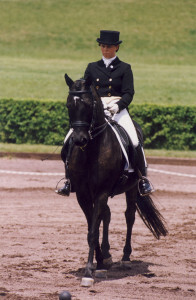 In Canada the Morgan stallion WAW Beau Heir (Beckridge BeauField x My Donna Gal C), owned and ridden by Trudie Northcott is third in Prix St George and second in Intermediare I at the Pacific Division of the Canadian National Dressage Championships. The pair ranks tenth in Prix St George and fifth in Intermediare I in the Canadian national standings. Kathy Theissen of Maple Plain, MN and her 16.2 h gelding Just Fine Fortune (IL Supreme x Sunflower Countess), AKA “Bullwinkle”, wins the AHSA Zone 6 Championship at Third Level. Mona and Davey are again Northeast Regional Reserve Sweepstakes Champion at Third Level and earn their USDF Bronze Medal. Kathy and Bullwinkle (Just Fine Fortune) win the ASHA Zone 6 Championship at Fourth Level. Mona Sansoucy and Big Bend Doc Davis grace the cover of the March issue of the Morgan Horse Magazine. On June 28, during the first U.S. competition devoted entirely to musical freestyle dressage, Mona Sansoucy and 11-year-old Davey win the Fourth Level and Above class and receive the high score of the day. Trudy Northcott-Steele and 17-year old WAW Beau Heir are awarded the AMHI $2500 Grand Prix Dressage Prize for being the first Morgan to obtain four scores of 50% or above at Grand Prix Level. Kathy and Bullwinkle are ranked 13th in USDF national standings at Intermediare II. Button Baker riding Patti Broulette Barrett’s 16.3 h mare, Malibu’s Fawnita (Las Posas Bravo x Waer’s Fawnette) win the Fourth Level Musical Kur at the California Dressage Society’s Regional Championship Show. They are also named Third Level CDS champion and AHSA Zone Champion at Third Level. By year’s end the duo are tied for 13th place (out of 542 horses) in the USDF national standings at Third Level. At the USDF National Young Riders Championships, 18-year-old Amy Husted and her 9-year-old gelding Jamori Troubadour (Fidddlers Georgetown x Mackinac Queen) are members of USDF Region 2 Team and, performing at Intermediare II, they earn an individual 6th place in the Consolation Test. At their first show at Grand Prix Level at the NEDA Freestyle Sweepstakes, Big Bend Doc Davis and Mona Sansoucy-Gaudet place second and fourth in Grand Prix Musical Kur. Davey is the only American horse on the grounds and defeats several horses that are long listed by USET for that year’s Olympics. 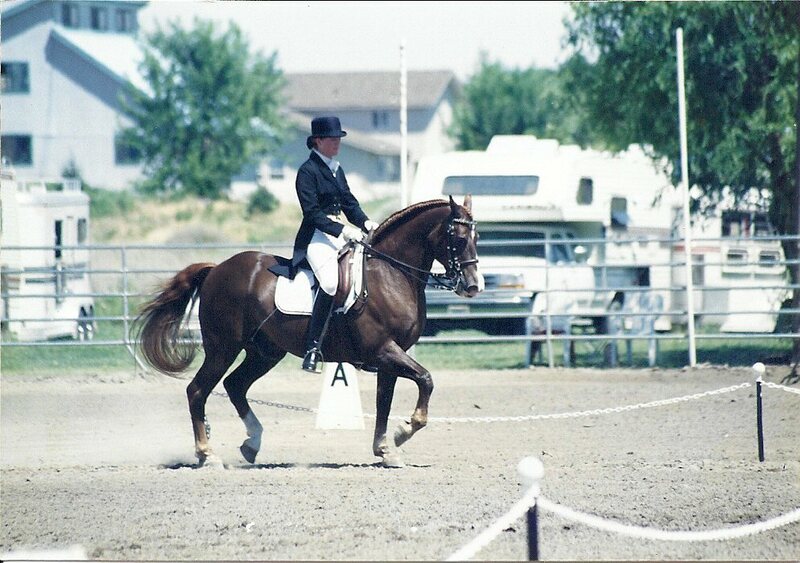 At age 15 Just Fine Fortune (Bullwinkle) competes successfully in Grand Prix dressage. Malibu’s Fawnita is ranked third in USDF national standings at Prix St George and eleventh at Intermediare I. She and Button Baker are selected as alternate to a USET team competing in Canada, becoming the first Morgan to win a place on a USET dressage squad. H.L.M. 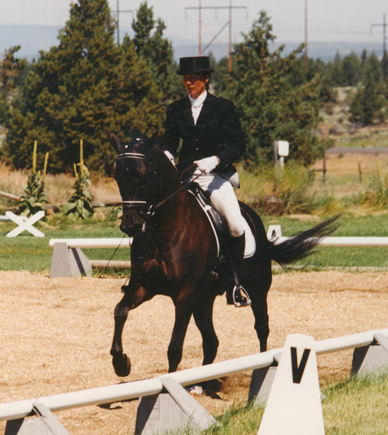 Van Schaik, mentor to Morgan dressage riders for over 30 years, dies at age 92. 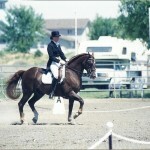 An AMHI Morgan Dressage Scholarship is established in his honor. Big Bend Doc Davis retires at the New England Morgan Show to thunderous applause from a standing room-only-crowd. 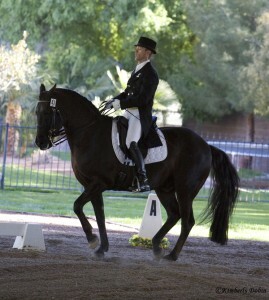 His brilliant performance inspires a renewed interest in dressage within the Morgan community. Browns Fiddle Dee (Dobson x Hoosier Holly) with owner Deborah Gyulay are one of the first to win the AMHA Open Competition Gold Medallions in Dressage, which require eight FEI scores including two from Grand Prix. Ten Penny Action (Applevale Voyager x Doverdale-Bambi-Jean) with owner Janet Moulding share the honor of earning their AMHA Gold Medallion. A 20-year-old Morgan gelding, Delmaytion Gaylad (Corinth Renaissance x Gemini Centaurus x Tutor) becomes the first Morgan to be included in the USDA annual listing of stallions who have sired three or more recipients of USDA year end high-score awards. The three winning offspring he sired before being gelded were Foxwin Deja Vu, Foxwin Pirouette and Foxwin Sir Echo. Deb Dougherty and Beckridge Patrex are fifth in the USDF national rankings in Intermediare I Musical Freestyle. A total of 77 horses nationwide competed in this category. Mona Sansoucy wins the first Van Schaik Morgan Dressage Scholarship awarded annually thereafter through the American Morgan Horse Institute. Deb Dougherty is awarded a USDF Gold Medal, becoming the first to achieve this honor on a Morgan. She is one of only 94 riders to earn a Gold Medal up to the end of 1994. To receive a Gold Medal, a rider must earn two scores at Intermediare I or II and two scores at Grand Prix of 60% or better, in front of at least two different judges at two different USDF competitions. Alix Szepesi and her palomino gelding Triple S High Noon (Topside Eager Beaver x Triple S Soap Suds) win USDF Horse of the Year honors and are ranked 15th in the United States among all horses competing at Third Level. 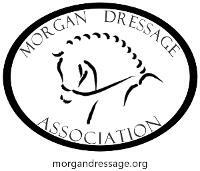 The Morgan Dressage Association is formed. Cathy Echternach and Whippoorwill Ebony, aka “Black Tie” (Blackwood Correll x Whippoorwill Locket) are 21st in Intermediare II in USDF national rankings and earn the AMHA Gold Medallion in Dressage. 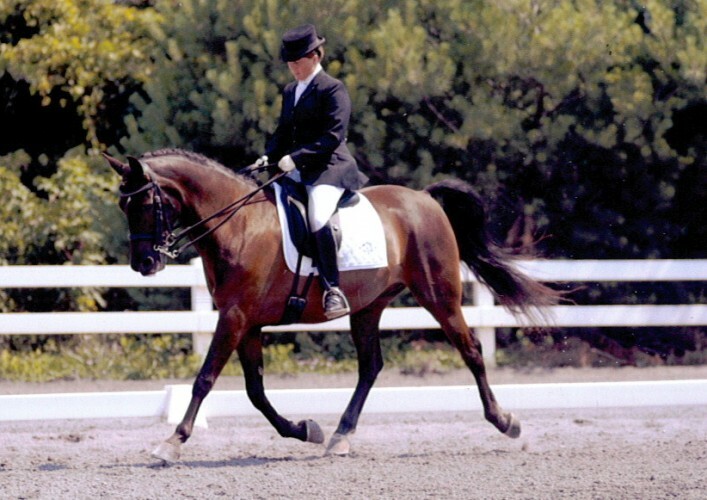 EFM Desperado (EFM Odin x Woodside Celebrity), owned by James and Laura Smith, is the sixth Morgan to earn the AMHA Gold Medallion in Dressage and is retired at the end of the season. Amy Fowler Larson and BTMM The Colonel’s Lady compete at Grand Prix. The Colonel’s Lady is the only Morgan mare to reach this level. Sally Anderson competes on Mehrs Eloquince at Grand Prix and receive their AMHA Gold Medallion. Anderson also competes Iron Forge Starman at Fourth Level and they receive their AMHA Silver Medallion. Dressage at Devon offers their first sport horse breeding class for Morgans. Eight Morgans competed on the triangle, and the class was won by Spring Hollow Kyros (Statesman’s Silhouette X Foxridge Destiny), a 3-year-old gelding owned by Spring Hollow Morgans. Ann Taylor of Woodland Stallion Station is named United States Equestrian Federation Breeder of the Year. 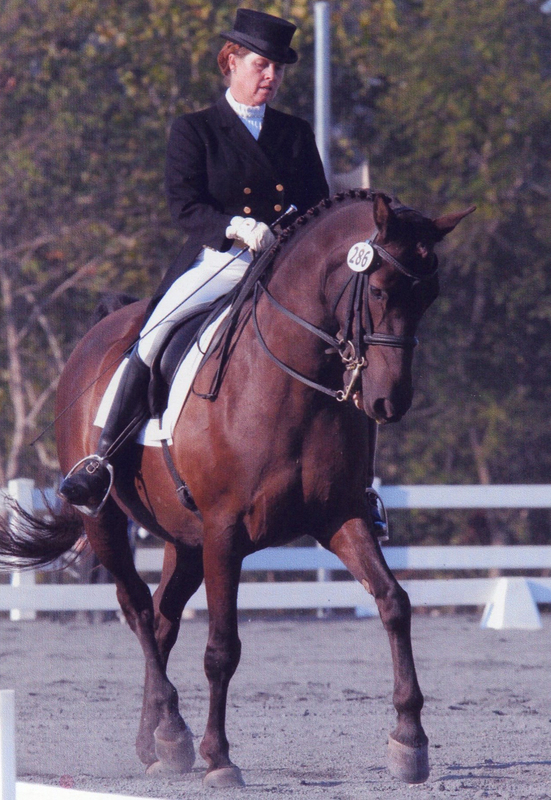 Her Wintergreen Morgans are renowned for their success in the sport disciplines, including dressage. Iron Forge Starman competes at Grand Prix with Sally Anderson, who earns her USDF Gold Medal. David Macmillan becomes the first rider to show three Morgans at the FEI level at a USDF competition. Wendy Bizarro’s Greentree EverReddi and Greentree Courtney take first and second at Prix St Georges and Karin Weight’s West Mt Winston wins the Intermediare l class. All three Morgans received scores in the 60’s. West Mt Winston wins USDF All-Breed Championships at Grand Prix and Grand Prix Musical Freestyle levels, the AMHA Gold Medallion, and his fifth Morgan World Championship with scores as high as 68.7%. Rider David Macmillan earns his USDF Gold Medal on Winston and they receive the Grand Prix Achievement Award from the AMHA. West Mt Winston becomes the first Morgan in history to receive a Performance Certificate for Grand Prix from the United States Dressage Federation and is named “Dressage Horse of the Decade” by HorseWorld.com. 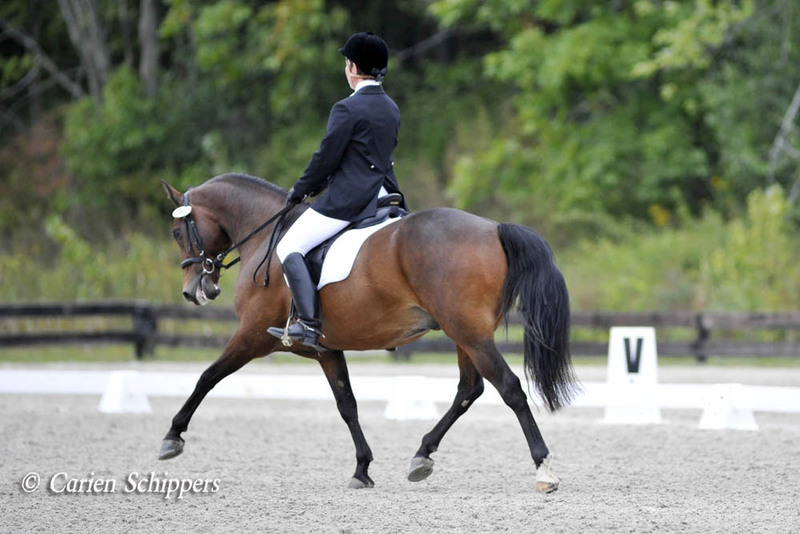 Whippoorwill Ebony, a former Grand Prix dressage horse, is successfully shown at Fourth Level — at age 26! Seven Morgans compete at Prix St Georges this season — a new record for the breed. Whippoorwill Dorado (Triple S Golddust Correll X Whippoorwill Larissa) becomes the twelfth Morgan Grand Prix competitor. Trained and shown by Catherine Echternach, he earned 60% on his first Grand Prix test. Blue and White Raven (Night Hawk of Rocking M X Four-L Black Magic) becomes the thirteenth Morgan to be competed at Grand Prix. He and his owner and rider, Jennifer Drescher, qualify and and are the first Morgan to compete at the U.S. Nationals at Grand Prix. Avatar’s Jazzman (KJB All That Jazz x Avatars Cassandra) and Lauren Chumley become the fourteenth Morgan to successfully compete at Grand Prix. Morgans take the top two spots at the National Dressage Pony Cup in FEI Test of Choice Open, with Forsite Renor and Debra M’Gonigle earning the Championship title, and Avatar’s Jazzman with Lauren Chumley Reserve Champions. Blue and White Raven and Jennifer Drescher are U.S. Dressage Finals Grand Prix Adult Amateur Freestyle Reserve Champions. Three of the four horses competing at FEI at the National Dressage Pony Cup are Morgans: Forsite Renior with Debra M’Gonigle (Reserve Champion), Avatar’s Jazzman and Lauren Chumley , and Forsite Zephyr also with Debra M’Gonigle. HD Redford (Tedwin Titlist x Perinton Serenity) and his rider Josephine Trott, Coulee Bend Kahlua (Season’s Forever French x Coulee Bend Anticipation) with Emily Gill, and Gladheart Linhawk (Funquest Diviner x Rogue’s Midnight Melody) and Kimberlee Barker become the fifteenth, sixteenth and seventeenth Morgans to successfully compete at Grand Prix.